Happy Valentine’s friends! We are getting ready for some festivities here and LOVED how cute these “love” heart tags turned out! 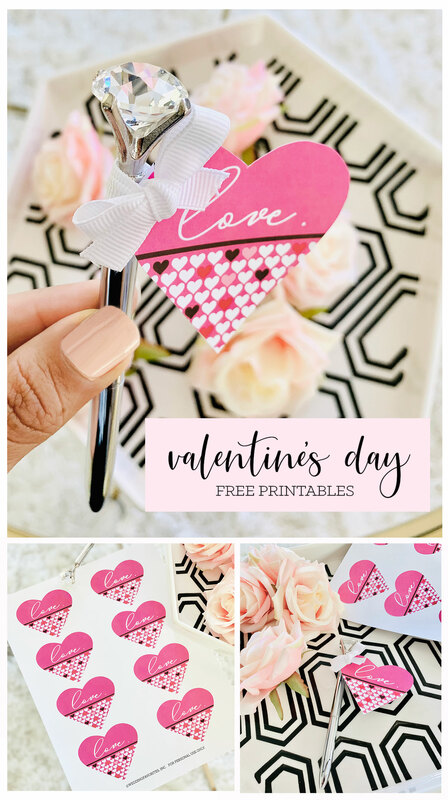 Scroll down to download the link to our FREE Valentine’s Day Heart Tag printables to make your own valentine favors. Download, print, cut, and add them to your “favorite” things. We suggest using our diamond pens…just some bling every girl deserves!